If you don’t think sow longevity is crucial for the bottom line, imagine your life without it: putting time, money and energy into sows that barely or rarely pay for themselves before you have to start the process all over again. Needless to say, it’s not a pretty picture. The pork industry is full of complexities, but the simple truth is that the longer sows stay productive, the greater your return on investment. While it’s an easy concept to grasp, making it happen is no small feat. Though numbers don’t always tell the whole story, they do help illustrate the power of longevity. For example, the rule of thumb in the industry is that a sow must wean three litters before she pays for herself in the herd. Each breeding animal is assessed for feet and legs, and these phenotypes are used in the genetic evaluation to identify those families that are transferring good feet and leg structure to their offspring. These assessments are also used to cull individuals, so animals with bad feet and leg scores will not stay in the breeding herd. 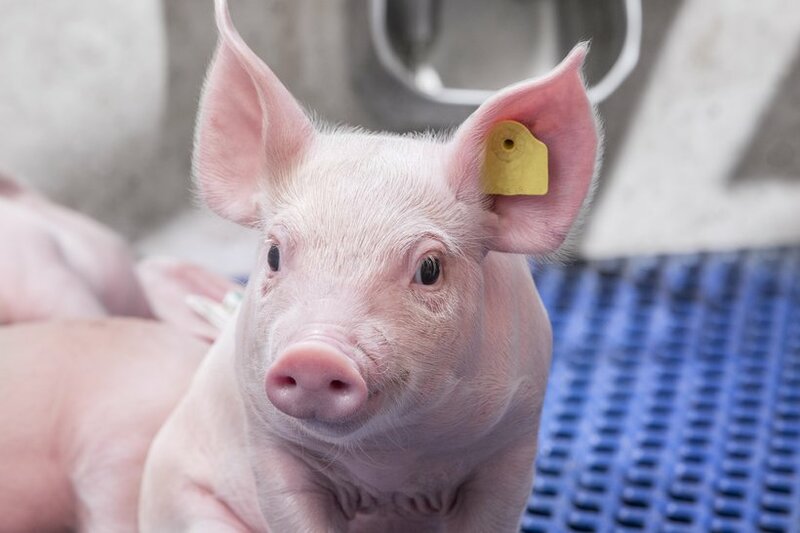 Traits such as farrowing rate, wean to service interval and non-return rate (whether sows get pregnant with the first insemination) are all included in the maternal line selection index. As a result, many Hypor Libra* customers are seeing a farrowing rate of greater than 90 per cent and reaping the financial rewards. If producers need to assist substantially with farrowing, or have sows that tend to savage or crush many piglets, the consequence will be culled sows and lost revenue. Hypor avoids this through selective breeding of the Hypor Libra* for calm and self-sufficient sows. Time and again, customers report that the Hypor Libra* is extremely docile and easy to work with. That’s good news, because a low-stress sow means less stress on your business. With industry sow death losses climbing in recent years, mortality is a hot topic, and one that figures prominently in Hypor’s selection strategy. Open pen gestation is already commonplace in Europe, where the Hypor Libra* has proven its performance in an open pen environment during gestation. Recent benchmark data shows Hypor Libra* death loss at 2.5 – 3 per cent lower than the industry average. When you consider that the average cost of bringing replacement gilts into the herd is $250 - $300 USD (€ 220 – 260), lower sow mortality is a huge gain for producers. Ultimately, the sow should be able to take care of her own piglets, which requires that she have enough teats and good colostrum and milk production. At the end of the day, the producer should be the one deciding when the sow is leaving the herd, meaning the sow should stay in ideal condition, maintain excellent udder quality, and have a good structure (feet and legs). In everything they do, Total System Profitability (TSP) is Hypor’s guiding principle. TSP implies a more holistic or balanced approach, where each link in the value chain should be able to make a profit using Hypor genetics, and it all begins with the producer. “The traits we target provide easier management, lower production costs and greater TSP for Hypor customers,” Huisman. Not only is a long-lived sow a huge driver of profits, but given all the benefits involved, it sure beats the alternative.